I constantly have a billion ideas floating around in my head. Thus, I am always making and tinkering around with things. Below are a few of my explorations. Feel free to ask me more about any of them! 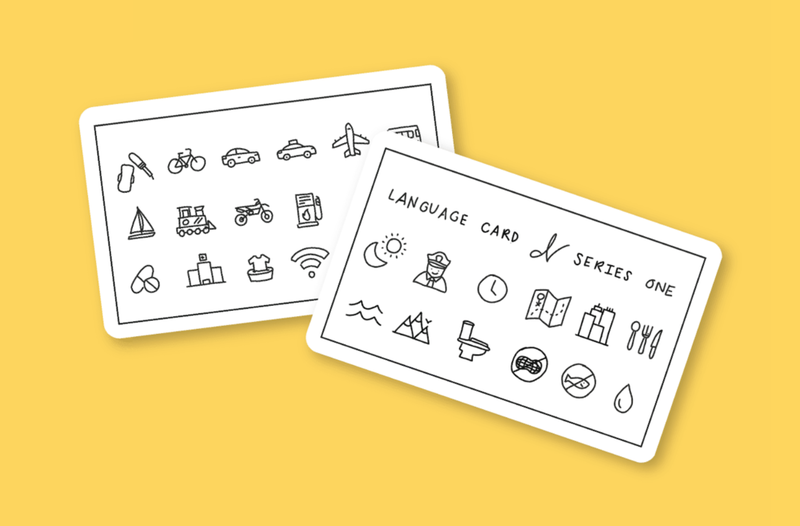 I created a language card that you can print out and bring with you while you are traveling (see it spotlighted in my first Youtube video). It helps break down language barriers because you can point to something if you don't know how to say it in the local language. I am working on variations of this card for different countries since toilets, for example, might look different depending on the country. As an Electrical Engineering undergraduate, I noticed that when the tiny circuit parts (resistors, capacitors, etc.) fall to the ground, they are often thrown away because they are too tedious to be put back into the correct bins. This is especially the case with resistors, since the only way you can tell the difference is by the stripes of colors on them. 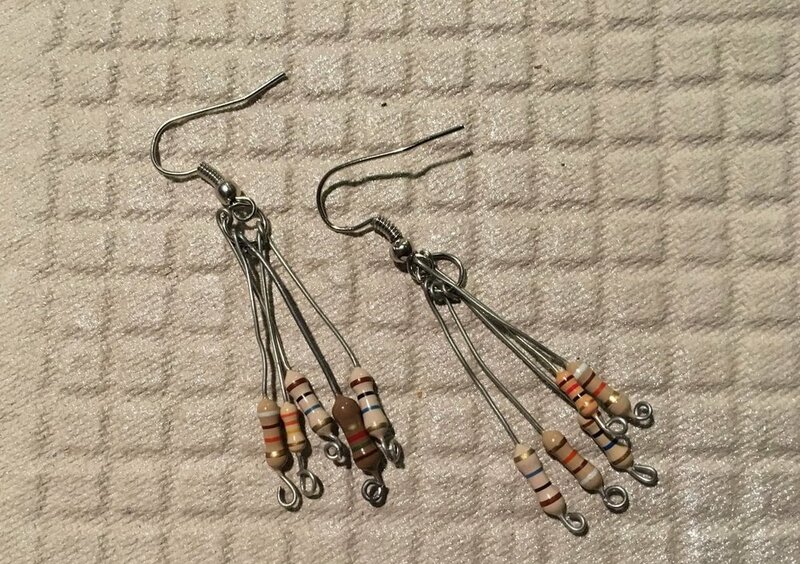 I wanted to reuse these circuit parts and create jewelry. This is my foray into augmented reality. Perhaps the weather is listed at the door before you step outside. This can span to other things like the temperature of food, time of day, etc. When information is more ingrained in our environment, we can see it more easily at the most relevant moments - we don't need to disrupt the moment by looking at our phone. Our society often views trash as someone else’s problem. It is usually something ignored. I wanted people to have a playful moment with trash so that they can begin think of trash as something beautiful and not repulsive. The multiplying effect of the trash can makes you think of the magnitude of trash and how it can have a ripple affect. Hopefully, this can help change the way we engage with trash and might scale up to solving the wicked problem around sustainability. How might we make the experience of a user a vending machine more delightful? Hydrate is an attempt to design a more user friendly vending machine by experimenting with the "conversation between a vending machine and a user" through the use of light, form, and the personalization of a vended water bottle. A tonographer is a device that measures eye pressure and is commonly used to test for Glaucoma. Current tonographers are based off of the 1950s design using a needle and paper. Ophthalmologists have to manually perform a series of intricate calculations in order to deduce a measurement from a paper graph produced. My team aimed to convert the device from Analog to Digital, automate the calculations from the tonographer, provide the user with a friendly computer interface, reduce the invasiveness by minimizing the length of test duration, and make the device wireless. This project won the 2013 Ricci Interdisciplinary Prize.